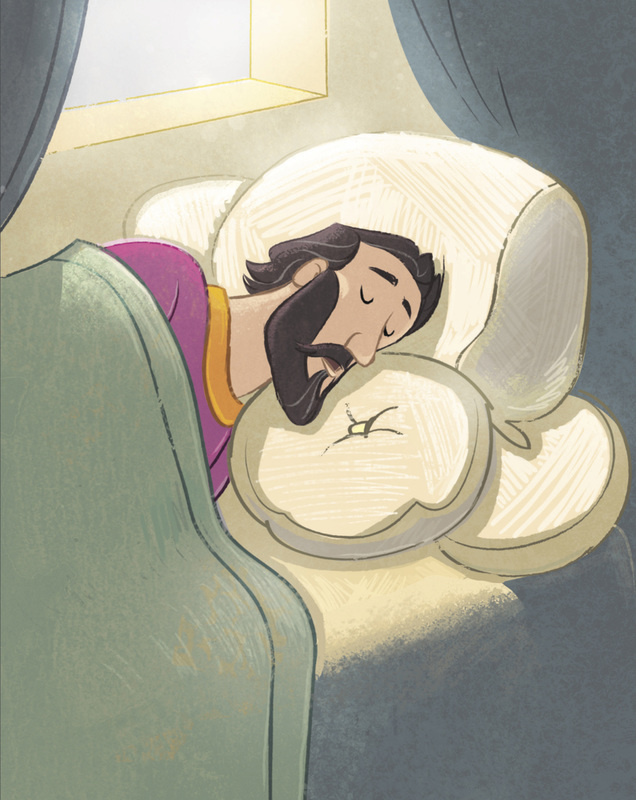 Moving on from David, this week our journey in The Gospel Project for Kids takes us to David’s son Solomon. Solomon was the second son of Bathsheba and the next king of Israel. Remember God made a covenant with David in which his sons would always rule on the throne. David was very old and Solomon had become the king. 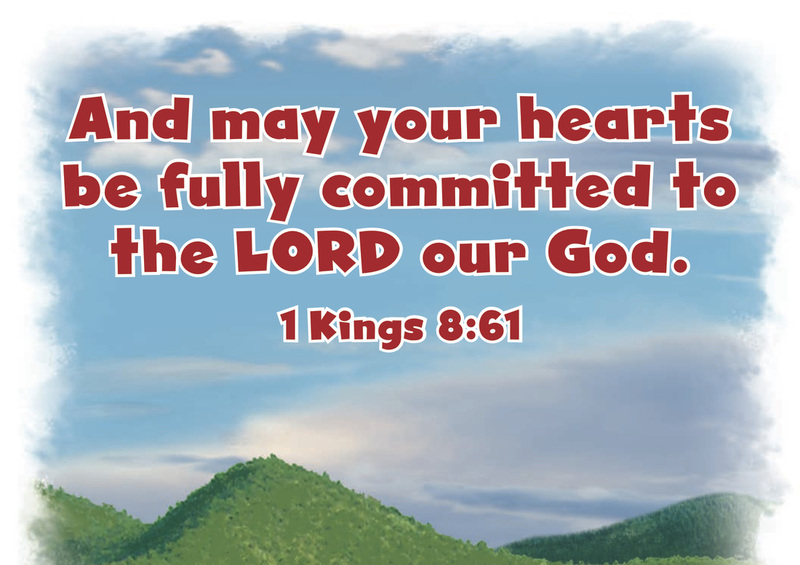 David encouraged his son to always follow God and to walk in His ways. Once David died, Solomon had a dream in which God told him to ask for anything he wanted. Solomon told God that he was a young man and that what he wanted most of all was the wisdom needed to be a good leader for the people of Israel. God was pleased with Solomon’s request and granted it. God told Solomon he would have more wisdom than any person yet to live. Because he had not asked for selfish desires, God also granted that Solomon would be rich, live a long life, and receive honor from others. God told Solomon that he would be greater than any other king who had ever lived. 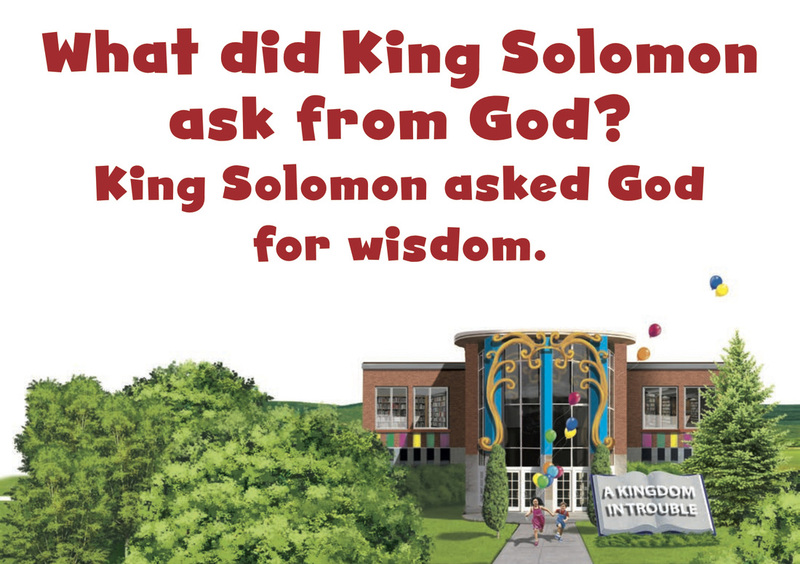 Solomon could have asked for anything, but he chose to ask for wisdom to accomplish God’s will. God created people to do His will. Jesus provided for us the perfect example of doing God’s will when He willingly died on the cross for our sins. David was old. He had been king over Israel for a long time, and now his son, Solomon, had become king. God had promised David that Israel’s king would always be someone from his family. Because David was at the end of his life, he gave Solomon some instructions. 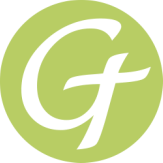 David died, and Solomon took control of his father’s kingdom. Solomon married the daughter of Pharaoh, king of Egypt. With the princess as his wife, Solomon didn’t have to worry about being attacked by the Egyptians. The two countries were at peace. Anything? A king might have asked to live a long life or to have lots of riches. Solomon could have asked God to give him victory over all his enemies. Solomon didn’t ask to be rich or to live a long time. 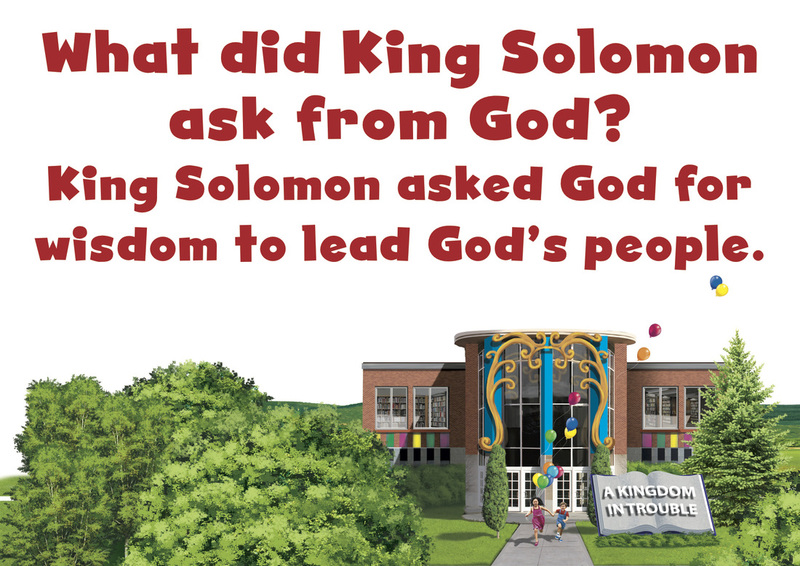 Solomon wanted to be a good king. He asked for something even better. God answered Solomon, “I am pleased you have asked for this. ​Solomon woke up and realized God had spoken to him in a dream. 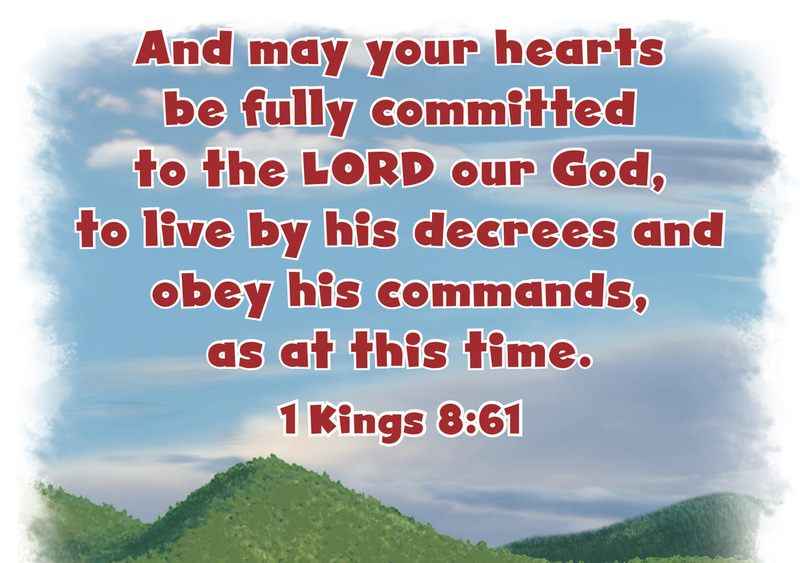 Solomon praised God and offered sacrifices to worship Him. Christ Connection: King Solomon could have asked for earthly treasures, but he asked for wisdom to lead God’s people. God created people to do His will. Jesus provided the ultimate example by completely trusting God with His life. Jesus gave up His own life to die on the cross for our sins so that God could bring us back to Himself.